John Wells’s phonetic blog: wie spät ist es? Well, to put it in an overly simplified way, increasingly most of those who have both eː and ɛː, either use an artificial standard while they're reading down a speech and will also have a hypercorrect h and a well-pronounced schwa in spähen and the like, or they're usually speaking a dialect. In general, if you argue with regiolects, ie regional forms of the standard, you'll have Southern Standard German with the eː/ɛː distinction and and Northern Standard German with the fricative -g. Both would be standard. Slightly more regional, or sub-standard, if you will, would be a closer phonetic variety of eː (near-close-front unrounded - is there an IPA symbol for that?). This is one of those "regionalisms" that is spread over such a large area that most of its speakers don't recognise it as a "regionalism". There seems to have been a historical switch-over in Standard German, as it was originally based on speech in the south of Germany but is now more prevalent amongst northern speakers. When north and south differ, who do you side with? I would add to Lipman's list that the pronunciation of /r/ varies in [Standard] German. [r] is used more in the south and [ʁ] more in the north, and I think that there are still other variants. Ed: indeed - I have even heard an English-like retroflex approximant [ɻ] from at least two native speakers. John - I wonder how you pronounce "Erde"? Do you have a long [e:] in that word or a short [ɛ]? There seems to have been a historical switch-over in Standard German, as it was originally based on speech in the south of Germany but is now more prevalent amongst northern speakers. (Niederdeutsch), which is a different language spoken mainly in Northern Germany and adjoining regions in the Netherlands and Denmark. (‘High German’) has two basic meanings: as opposed to Niederdeutsch it refers to the language of the south that has undergone High German consonant shift, later it also came to mean standard German which is based on High German. As to the /eː~ɛː/ distinction it should not be forgotten that Germany’s by far largest metropolitan region of Rhine-Ruhr has it. I grew up with /eː/ and /ɛː/ merged but when I moved to Cologne I started to make this distinction. And Rhine-Ruhr is by no means situated in the south of Germany let alone of the German speaking area which reaches as far south as northern Italy. For me Erde has always been /eːɐdə/. @Ed: I'd like to add the voiceless uvular fricative as a variant of /r/ before voiceless fricatives or plosives as in [ɡaχtn̩]for Garten. @ homoid: I might've been misinformed. I was told that the standardisation of German began with Martin Luther; I believe that he was from Saxony, so not really north or south geographically. I am aware that traditional northern German dialects have been relegated to rare, informal use because they were so different from Standard German. I don't quite understand how Northern Germany could've set the standard for German pronunciation if its traditional dialects were so different from written German. There were big gaps from west to east as well. Apparently when the Germans of Eastern Europe were expelled in the 1940s, they struggled to communicate with anyone on arriving in more western German-speaking areas. @Kraut: Haha, yes. Though "Gachten" and "Spocht" and the like sound distinctly Western (Cologne area) to me. @Ed: It is true that Martin Luther standardized German, but only the written language. There was no standard pronunciation at that point. What Theodor Siebs did was to stipulate that the realization of the phonemes of standard German should be as in certain types of Low German (the Lübeck variety of which used to be the lingua franca of the Hanseatic League); however the distribution of the phonemes should follow the orthography of Luther and the classics: Goethe, Schiller and Hölderlin. @Philip Newton: Do you have an /eːr~ɛr/ merger like people from Westphalia who have /eːr/ in both Heer and Herr? As far as I know, there is usually no difference in quality between short /a/ and long /aː/ in German. Umlauting a vowel basically comes down to fronting the vowel, without significantly changing its degree of openness, giving pairs of /uː–yː/, /ʊ–ʏ/, /oː–øː/, /ɔ–œ/. Following this principle, fronting /a/ and /aː/ may well result in —a slightly more raised— /ɛ/ and /ɛː/, respectively. But on the other hand, this would produce an irregularity in the German vowel system with two long vowels (/ɛː, eː/) sharing the same short counterpart (/ɛ/), and to remove this irregularity, speakers might feel inclined to merge the long vowels. I wonder if historically /a/ and /aː/ were fronted to /æ/ and /æː/ instead, i.e. having approximately the same degree of openness, which didn't interfere with /ɛ/ and /eː/ back then. If you must have a standard, it seems egalitarian to have an artificial standard combining some features of one dialect with others from another, rather than plumping for one holus bolus. Is that what [northern realisation plus southern distribution] accomplishes? @homoid - no; Heer and Herr are distinct for me. Siebs's codification of the German language had a lot to do with what he termed Bühnenaussprache: stage pronunciation. Those of us who work in the realm of "lyric diction" (pronunciation for formal singing and in the theatre) still insist on an open [ɛː] for long-ä, albeit perhaps slightly more tense/closed than open-e. This is admittedly a distinction that is not nearly as common in spoken German. Other characteristics in this aesthetic include a flipped/rolled consonant r, and the realization of geminated consonants, similar to what is done in Italian (lengthening on küssen, stopping on Krippelein, etc.) Fine interpreters of German Lied and opera will (mostly) all do this; for example, if you're interested, John, the first line of Schumann's setting of Eichendorff's Waldesgespräch: 'Es ist schon spät' in any one of Fischer-Dieskau's recordings has a vowel that is noticeably more open than his long, closed-e.
We've moved from the discussion of the standard and its varieties, I think. Philip, homoid: Westphalia has all vowels in front of former -r long. A short vowel in Erde is the opposite tendency (which I'd still consider a variety of the standard), and Philip simply seems to retain the distinction. Teardrop: short /e/ was (mostly) lost, hence the assymetry. In the pairs of long and short, the latter tend to be more open and/or central. Kraut, I don't consider ɡaχtn̩ or ɡaχːtn̩ StG, at least if you define it as free of local accents, as it is usually done. nedecky, of course, nothing of this artificial standard has anything to do with real life. Some features (the r) might be regional, archaic or formal, but gemination in Standard German is plain wrong. Apart from that, many actors will replace gemination by some strange, affected emphasis on the preceding vowel. The theatre standard insists on the eː/ɛː distinction, but there's no difference in quality between ɛ and ɛː. Lipman, the system I mention is very worthy of discussion, I think, and the standard codified by Siebs has a lot to do with "real life". Although I get the sense that you may not be interested, I do urge you to listen to some recordings of sung German, where this standardization of the language is applied beautifully. "Affected", "artificial", and "archaic" are all labels you may well use for this style; nevertheless, it is a significant social and cultural piece of the puzzle that has historical importance. You say, "there's no difference in quality between ɛ and ɛː." Well, I think this discussion has proven that in the case of ä — for many speakers in various contexts — there certainly is a difference. I'm sorry for the lack of clarity concerning the vowels: I meant while this standard makes a difference between /eː/ and /ɛː/, the difference between /ɛː/ and /ɛ/ is only one of quantity only. Bete and bäte are distinguished in quality, bette and bäte in quantity, not "albeit perhaps slightly more tense/closed than open-e". 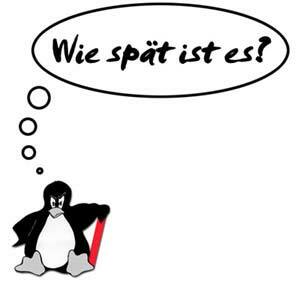 I noticed that some NS of German, even if they don't have the low e-sound in words such as "spät" or "Käse", pronouncing them with the high vowel ("spet", "Kese"), do make the difference in those rare case where it makes a difference, for instance "Ehre" and "Ähre" (honour, ear-of-corn), or "Seele" and "Säle" (soul, rooms/halls), sometimes even in subjunctive past tense verb forms whose indicate present tense forms have the short low vowel, for instance "spräche" (would speak), "bräche" (would break) --- nay, even in verbs whose ind. pres. forms have a different vowel altogether, as in "bäte" (would ask) from "bitten"; the latter form makes a 'genteel' impression on me, but I am no NS. Lipman, getting back to Siebs (who presumably did know the first thing about phonetics AND was concerned with the lyric aesthetic): he transcribes ä as [ɛ] and [ɛː]. John mentioned this feels artificial when ä is a long vowel. My argument is that, for Theodor Siebs, the vowel is open in keeping with that Bühnenaussprache convention which he codified. In other words: yes, it's a little artificial, but it was true to the stage pronunciation of 1898. That may or may not be consistent with ontemporary spoken 'High' German. Wojciech's observation that this careful practice may avoid some homophones in spoken German today is very interesting. One reason that gemination works well (and is so important) in formal singing is that it gives the sense that the correlation between vowel quality and quantity is retained, whatever the notated length in the score. A long note on the first syllable of füllen, for example, inevitably blurs the lines between [ʏ] and [yː]. Lingering on the l helps to keep the word distinct from fühlen. 1:41 "Kommst nimmermehr aus diesem Wald. Nimmermehr, nimmermehr" — loads of expressive geminated n! These are stylistic things that are applied not out of personal choice, but out of artistic convention. The same artist (Fischer-Dieskau) would walk off the platform and likely say [ʃpeːt], [gəbʁɔxən], and [nɪmɐ]. @mollymooly: Standard Italian used to be somewhat similar in this respect. It was said to be lingua toscana in bocca romana ‘Toscan tongue in Roman mouth’ (in other words: Tuscan distribution with Roman realization, i.e. words, grammar and phonemes as in the language of Tuscany but pronounced with a Roman accent). Ha, you don't think I'll say much against Fischer-Dieskau, do you? Anyway, as I said, this standard does work for singing. I listened to the song you linked to, actually expecting pleasure rather than insights, but in fact, of the three instances of "nimmermehr", only the first gets some lengthening in the -mm-, while the other two clearly have nɪːːmɐˑmeɐ and nɪːːmɐˑɾmeːɾ, resp. Reasonably-open [ɛ] - this is true for all his vowels. His ɛ in spät is longer, but otherwise not different from the one in Schmerz, and his /ɪ/, eg right at the beginning in ist is nearly an i.
Wojciech, I think people (who don't usually have the distinction) do that only for conscious contrasts. They'd talk about beːrən, unless somebody asks whether it was berries or bears the speaker saw in the wood, upon which the answer might be bɛːrən. I hear lengthening to some degree in all three instances of the nimmermehr (in addition to the long vowel because of the long note value). The last instance indeed features the longest [m]. Yes: spät is like Herz. They are both open as per "the rules", and open in his delivery. (This brings us back to the point of John's blog.) I disagree that his vowels are all relatively open. By contrast, his den, her, mehr, and steh' are noticeably much more closed, Again, this follows "the rules". Ist tends to close in this recording, I agree. Vowel modification is common in singing [ɪ]. Keeping Beeren and Bähren distinct (in speech) may be akin to those who insist in English on preserving the old "which witch is which" distinction, [w] vs. [ʍ]. When teaching German years later in the U.S., she made no distinction between long e and long ä, though she was quite careful to teach all the other distinctions of the standard. However, she always warned her students that she had grown up with /x/ for -g, and if she slipped from /k/ (other than in -ig, of course), they were to disregard it. So, for what proportion of German speakers does this famous couplet actually rhyme? Is that ˈheːrɪŋən or ˈhɛːrɪŋən? /ˈheːrɪŋən/, at least in her own pronunciation. "wieviel uhr" translates as "how much", not "how many" (which would be "wieviele"). yes, for conscious contrasts too, but not only. Saying this from observation, my family members from Rhineland, as well as friends from Franconia. Some say 'Ähren' with the low vowel as if anticipating the question 'honours or ears?' and 'Ehren' (for ears) when they don't expect that question, but I have never ever heard any of them say 'breechen' (high vowel) instead of 'brächen' (low vowel), which is a rare word anyway. 1:41 "Kommst nimmermehr aus diesem Wald. Nimmermehr, nimmermehr" — loads of expressive geminated n!" The difference being, I wonder if you disagree, that while open [ɛ] and front r is "correct" and standard in certain varieties of German, geminated consonants (in normal speech, as distinct from expressive singing etc.) are not. Save perhaps in some exotic Alpine dialects, I dunno... .
Coming from languages which do know a lot of geminated consonants: Polish, Swedish, Italian, I have often noticed that germanophones are as it were organically unable not just to pronounce geminated consonants (in languages where these exist), but even to hear them as such. For instance, for 'milk' in Italian they say 'latte' as if that was their 'Latte' (slat, lath), for 'boy' in Swedish they say 'gosse' as if that was their 'Gosse' (gutter) and, to boot, recommend this pronunciation in their Swedish-teaching materials. This is perhaps off-topic a bit, but in Danish, where, like in German, there are or were no geminated consonants, some such have reappeared, due to reduction and stuff, in such forms as 'bundne', e.g. 'vi er bundne' (we are bound), a geminated 'n'. In German, something like 'Bündner' (inhabitant of Graubünden, Terra Grischuna) would have a geminated 'n' in sloppy pronunciation only, methinks. Re /w/ vs. /ʍ/ in English, well, some Scottish, Irish, Northern American persons just have this distinction, maybe not 'insist' on it in any substantial sense of 'insist', but have it, no? For how many Germans do these rhyme, you're asking. rhyme (in the 1 and 3 line). as are also those in which one vowel is rounded and the other is not, like dir-für and the like. "He also demands trilled apical [r] wherever r is written, and that voiceless plosives always be aspirated - an exaggerated norm created for the stage. Siebs admitted that this standard would sound bizarre even on the radio, but any deviation was described as “impure”. My Duden grammar of 1959 still has forms like ʃtʰarkʰ (stark), kʰliŋkʰə (Klinke) and ˈapʰfal (Abfall) (p. 30)"
The difference is that while the apical trilled (or at least flapped) 'r' wherever the letter 'r' is written did occur in most, and does still occur in some (Switzerland for instance) varietes of German, ʃtʰarkʰ (stark), kʰliŋkʰə (Klinke) and ˈapʰfal (Abfall) have never---at least to my knowledge---been in use in any, and be it as exotic as ever---variety of that language. I sort of suppose the person who wrote this and prescribed shtharkh and so on must not have been paying attention during some lectures at the university or not have done their homework, or such, for these forms are sheer folly. The correct form seems to be 'wieviel uhr ist es', not 'wieviele uhr ist es', the latter seems 1. to be ungrammatical and 2. to mean 'how many hour(s) is it'. 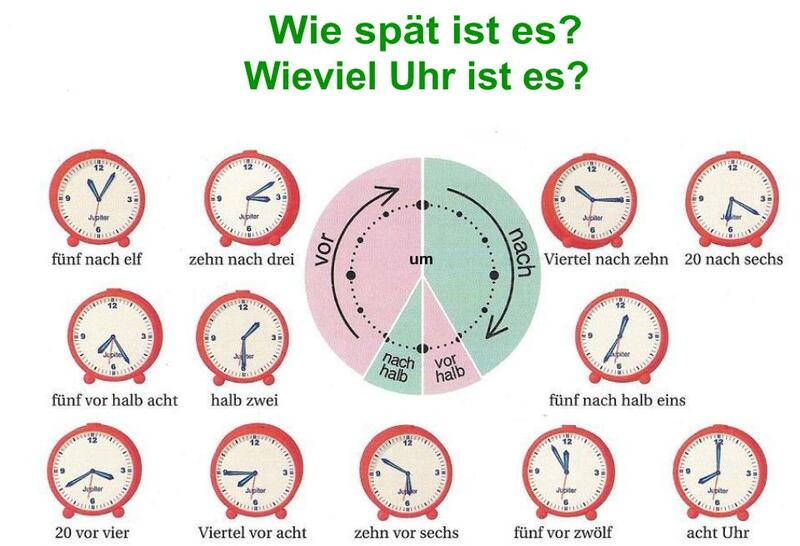 'Wieviel' anticipates a plain numeral, like 'es ist drei Uhr', which, unlike '*es sind drei Uhren' is a correct answer to a question 'what time is it' in German. Do you agree? Does Uhr ever mean 'hour' rather than 'clock'? 'Uhr' in contemporary German means just 'clock' or 'watch', save in such locutions as 'es ist zwei Uhr', where it means 'hour'(characteristically without the plural ending, like with 'Mark': Ich schulde dir hundert Mark, not '... hundert Maerker'). But that's an idiomatic locution and no-one thinks of the separate meaning of 'Uhr' in it. I have, on the other hand, quite often heard Germans say 'sehr', 'mehr' and other frequent words with the epsilon-vowel, the low one. This is sometimes described as colloquial pronouncation, a 'lazy' one, given that for it you don't have to raise your tongue that much. It is, therefore, possible for the [e]-[ä]-merger to work in both directions, and there are persons who say 'es ist sähr spet' rather than (as do most Northern Germans) '... sehr spet' or, orthoepically, '... sehr spät'. If you like front raised unrounded vowels, crowded tightly, Danish is the language for you. Wojciech - or even "sär speht", which is what I would normally say. ("Sähr speht" with a "long ä" vowel only if emphasising the word, for example, in "Ist es schon *sehr* spät?"). Shall we open up a can of worms regarding the best transcription of the eu/äu diphthong? My vote is for [ɔʏ]. …And by the way: can we agree once and for all that geminated consonants in German are certainly not a feature of the language — rather, the only application of this is in a lyric context, where it is both expressive and helps preserve the quantity of preceding open vowel? In formal singing, it is not a "personal choice", but an artistic convention that has always been taught by conservatories, in masterclasses, and referred to in every German diction guide for singers known to me. yes, you're right, the 'ä' gets shortened in such context unless emphasis-carrying; due to frequency. There is a Polish linguist, Witold Mańczak, a senior figure, Romanist originally, who used to explain a helluva lot of linguistic phenomena with 'du^ a` la fre`quence' (he wrote mostly in French). He was/is an enthusiastic supporter of Zipf's law and its applications. But for such 'sehr', 'mehr' and such-like, I think it's really due to frequency. while being aware of this geminated pronunciation in poetic diction and singing, as well as of its absence from normal spoken language, I (swear I) did not know the above. I realised it was widely spread but not that it was taught. yes, [ɔø] seems to be the standard, but the off-glide seems to low to my ear. I by contrast have always had problems with the roundedness of the off-glide. Why not dotless-i, or 'i' in 'binnen'? Phonemically, it "feels" like "short i" to me. However, my lips hardly change rounding (if at all) during the diphthong, so I suppose phonetically it's "ʏ (ü as in Hütte)". Philip: I agree. I think the rounding stays in the off-glide. That is mainly what makes it different from our English BOY diphthong. but is it really different from 'boy'? This distinction is well alive in some Englishes though, enough that my occasional slip manages to confuse NS of Irish English now and again. Yes, [ʍ] is alive and well in some accents. I was making reference to those people whose accents have long since abandoned the distinction, but who, nevertheless, persist with this phoneme in order to make a point. well, the "standard" says that this off-glide is different from that in boy. So, too are the off-glides in the other German diphthongs of [ao] and [ae] different from those in our English words cow and my. I think these details are relevant. Like in 'but I am asking you, WHich part of the empire do you mean?!' --- this kind of point? Strangely, no matter what (hwat, Scottish: fat) the standard says, to my ear the offglides of the English cow- and my-diphthongs are less [i]- and [u]-like,less high, than in their German counterparts, compare 'wine' and 'Wein', 'house' and 'Haus', for instance. In Wuerttemberg the offglides seem to be particularly [i]- and [u]-like; wonder how if at all this is relevant to the diphthongs of 'neu' and 'annoy'... . I respect school standards (except for 'ap-h-fall' and scht-h-ark-h' of course) but I still trust my own ear a little, pre-moulded as it may be by the mish-mash of diverse tongues I have been exposed to. I still hear a slight difference in these off-glides — enough to make the distinction between the phonemes used in English.